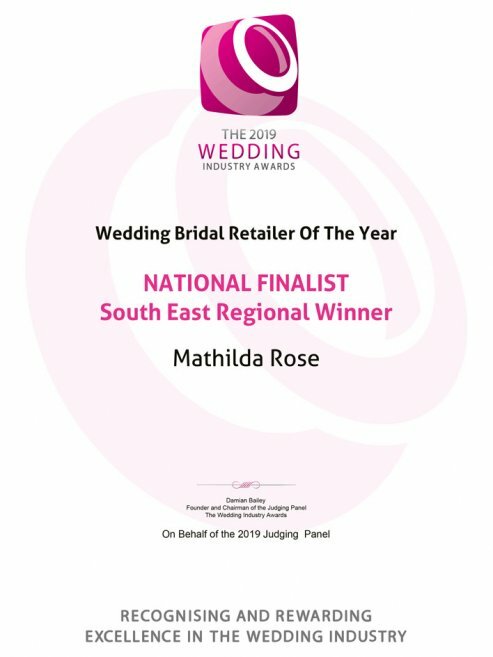 Established in 2011, Mathilda Rose is a an award winning, friendly, intimate and exclusive bridal boutique in the quintessential West Sussex village of Lindfield. In Lindfield you will find a wonderful selection of independent boutiques to visit, fab places to eat, trendy coffee bars and parking is free! 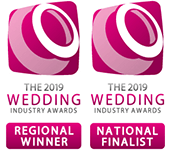 We have served hundreds of brides from not only all over the UK but also from Europe, Australia and U.S.A.
We are delighted to be ‘By Appointment Only’. This is to ensure that ALL of our brides experience our full attention during their appointment with exclusive use of our elegant boutique. Therefore, we ask all of our clients to pre-book their visit to Mathilda Rose – we do not have shop opening hours so to avoid disappointment we ask you to plan your visit and not just turn up! We understand it’s an important decision and it’s a super exciting, special time looking for your wedding dress so our brides and their guests enjoy a shopping experience which is relaxed, personal and fabulously fun. A Mathilda Rose bride will never be asked to share the mirrors or the shop with another bride! 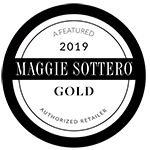 Our “Made to Order” designer wedding gown collections are handpicked to ensure that you can try on and consider a good selection of styles; from traditional to high fashion. 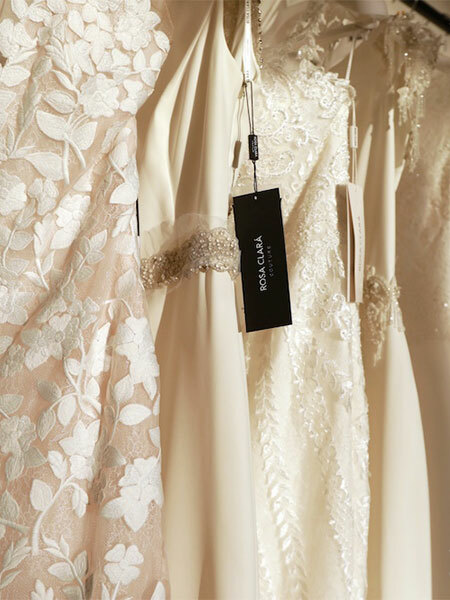 Our wedding dresses are priced from £1,200 up to £4,000. However, most of our wedding dresses range between £1,000 and £2,000. 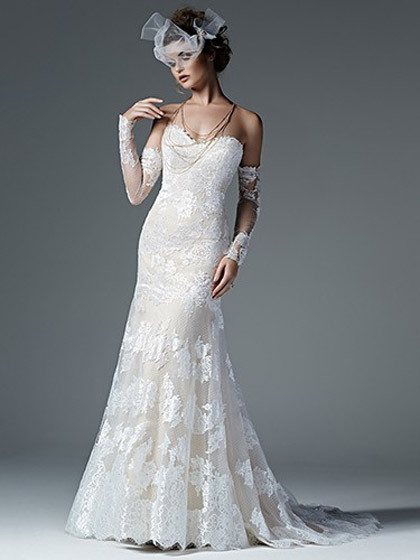 Our “Off the Peg” designer wedding gown collections are perfect if you are a bride who doesn’t have three to five months to wait for a made-to-order designer dress, or if you are a bride who prefers to see what you are buying right away or maybe you missed this year’s sample sale as prices start as low as £495. A selection of these styles can be viewed and purchased in our online shop. We change our collections regularly to ensure our clients are offered the most up to date styles, choices and fabrics. Therefore, we advise you to come along to your appointment ready to make your decision rather than to browse or “get ideas” as the same dress may not be available next week or next month. All Mathilda Rose wedding gowns are made with the utmost care and attention, ensuring that you not only look a million dollars on your wedding day but you feel it too! 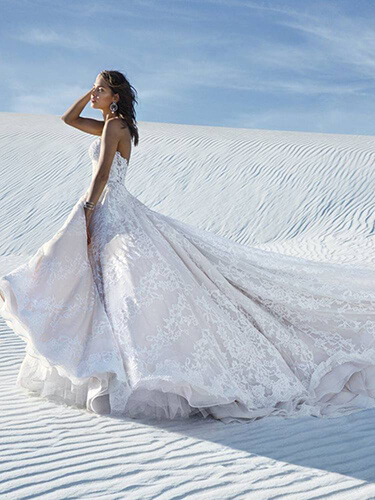 We are absolutely certain in choosing a Mathilda Rose bridal gown that you will not be disappointed. If you invest in a luxury “Made to Order” wedding gown from Mathilda Rose you can also look forward to a luxury fitting service as you will have access to our in house team of highly skilled and also very lovely seamstresses. This service is managed and hosted in our boutique and ensures that when you leave Mathilda Rose with your dress you are absolutely “Aisle-Ready”! Mathilda Rose is situated in West Sussex, less than an hour from central London and only thirty minutes from cosmopolitan Brighton. To book an appointment please visit our “Contact us” page. “I had such a fabulous experience finding, tailoring and creating my beautiful wedding dress with the team at Mathilda Rose. The setting of the shop is so unique and boutique, and being situated in the quaint village of Lindfield simply adds to the whole experience. I found my dress so easily, being the only dress of its kind or style I had found in the Kent and Sussex area – it was the exact vision I had to mind when trying on various of other dresses that were lovely but not quite ‘the one’. Mathilda Rose has such a great selection of dresses which appear to stand out from those featured in other shops I had visited. Nicola was on hand from start to finish to make the whole journey as easy and as individual as possible – you really do feel as if you are her number one bride when you at each fitting and discussing your dress and wedding. I collected my dress yesterday and cannot wait to wear it in a few weeks time at my destination wedding. Finding the dress and feeling so confident in the finished fitting honestly has made the whole wedding come together and all other elements of the wedding fall to the side – I simply cannot wait to show off the dress and be an official Mathilda Rose bride!